It’s that time of year…. The combination of the festive season aftermath and new years resolutions will drive many of us to try one “detox” or another. 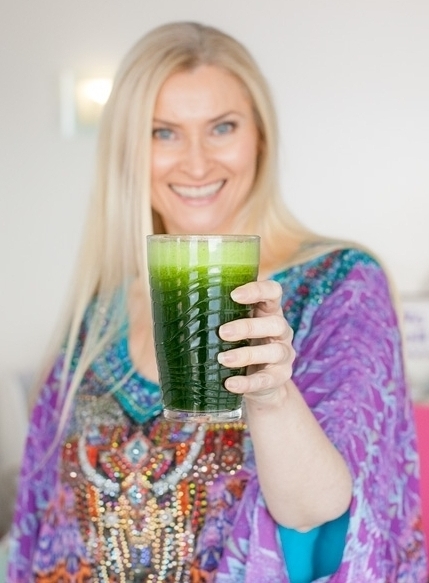 Whether it’s shakes, juice fasts, online programs or an combination of all three, every second health coach and “wellness guru” on the internet seems to be spruiking one program or another. I’m sure you’ve heard this before, but it’s worth repeating. Our bodies are CONSTANTLY detoxing. Whether we want them to or not, it's happening! So before you pay your hard-earned money to be really, REALLY hungry (and tired and headachy!) for a week or so, consider that there may be cheaper and far more enjoyable - and less torturous! - ways to show you body a bit of respect and get your year off to a healthy start. All you need to do is make some simple changes. Rather than focussing on what you need to cut out during a detox, make a commitment to crowd out the bad stuff by adding in more of the good stuff! Especially veggies and fruit - aim for at least 5 serves of veggies and two serves of fruit every day. These foods are an amazing, low-calorie combination of vitamins, minerals, phytonutrients and fibre! But less than 5% of Australians are consuming the recommended number of serves of veggies, and this is a huge missed opportunity to boost our health. Studies have shown, over and over again, that vegetable consumption is associated with reduced risk of obesity, hypertension, stroke, heart attack and many cancers. So get on this!!!! You can read why here! And while you’re at it, make sure you are eating all the colours of the rainbow. Check out my top tips for adding more veggies to your diet! Any detox that has you too exhausted to do anything but lie around is not doing you any favours. Our bodies need movement to boost our circulation and stimulate our lymphatic system. You don’t need to run a marathon but you do need regular healthy movement like walking or swimming. Check out my post on the health benefits of exercise (and my top tips to get you moving!) here. Research has shown that our brain “detoxes” while we sleep via the Glymphatic system, which is similar to our lymphatic system but is managed by the glial cells in our brain. Our Glymphatic system clears toxins and metabolites including beta amyloid proteins, which are implicated in Alzheimer’s disease. So make sure you are catching enough zzzzzzz's! I recently wrote an in-depth 3 Part series on sleep. Check out Part 1, Part 2 and Part 3. And make sure you check out (and try!) a few tweaks from my bumber list of evidence-based tips to help you improve your sleep! Don’t know what JERF is? It stands for Just Eat Real Food and it is one of my mantras! You don’t need to starve for your body to detox. In fact, starving can actually undermine our body’s detoxification efforts! Simply taking a big step back from packaged and processed foods and just eating wholesome unprocessed REAL FOODS can take a huge strain off your body and leave you feeling fabulous! Processed food are highly refined, energy dense but bereft of micronutrients. So to give your body’s detoxification processes a break, lay off the fast food and convenience foods. And top of your list of things to avoid should be soft drinks and sodas, and deep fried snacks and fast food meals. I’ll write about why these “foods” are on my hit list soon, but for now give them a wide berth and JERF! One of the most effective ways to help your body “detox” is to stay out of overnutrition! This is a term that you haven't seen bandied around the blogosphere by the “wellness guru” set, but it is a concept that is well entrenched in the peer-reviewed scientific literature. Consuming more carbs, fat and protein than we can process places our bodies in a state of metabolic stress. Scientists are increasingly classifying obesity, type 2 diabetes and heart disease as diseases of overnutrition, in recognition of the cellular and metabolic impacts of taking in more energy than the body can process at a sitting, including unleashing an inflammatory cascade at the cellular level, and leading to insulin resistance and ectopic depositions of fat in our organs. I’ll be writing more about overnutrition in the coming months, but for now just be aware that overeating places strain on much more than the seams on your pants! This is so obvious that it almost goes without saying, but here goes…. Your body processes alcohol as a toxin. And because of this, your liver deals with it first, before it deals with anything else you consume. Your liver converts alcohol to acetaldehyde, then to acetate, and finally into carbon dioxide and water. So one of the best “detoxes” you can undertake is to lay off the booze for a bit. Detoxes that cause you to starve are counterproductive. Your liver detoxes substances like cholesterol and excess hormones into your large intestine. But to eliminate these detoxed substances from our bodies we need dietary fibre to carry them out of our body. Fibre helps our body to clear excess cholesterol and hormones from our body. If we don’t consume enough fibre, these substances will be re-absorbed. So starvation “detoxes” are actually not really detoxing you at all - they are actually facilitating recycling of the very substances our body wants to eliminate! So to make sure you are properly eliminating these waste products, aim for at least 28g of fibre a day if you are a woman and 38g a day if you are a man. The very best sources of fibre are fruit and vegetables, legumes and wholegrains. But you can also supplement with psyllium husk or powder too - just make sure you consume it with LOTS of water! So there's my list! All are simple, inexpensive and a LOT more beneficial to your health than packaged detox programs!